When I was kid we had a Rubik’s Cube laying around the house. If you grew up in the 80’s you probably remember the Rubik’s Cube. First exported from Hungary in 1980, it has 43 quintillion possibilities. I can’t even imagine that number, but if you’ve ever been mesmerized, fascinated--or stupified--by a Rubik’s cube, you don’t need to. Ours was like a curse. It would taunt us from the coffee table. It’s happy colored squares, vague suggestions of possibility, the temptation that this time might be different. It made the rounds and went in the closet. But, that wasn’t good enough for me--I could still hear it calling--and I wanted to beat that Rubik’s cube. We didn’t have Google back then so I tried the next best thing--my brother Josh. Josh was our resident know it all, if he couldn’t figure it out, it couldn’t be done. Having a resident know it all was important in the pre-Googlolithic era. Josh raged all out war against that Rubik’s Cube, twisting away, his head cocked to the side in deep concentration. Hell hath no fury like a determined intellectual, but the day came that he set it down for good--and the Rubik’s Cube still taunted us. So my father hatched a plan to show that toy who was boss. My father was an auto mechanic. He built half of our house himself--with a little help from 2 indentured servants known as Josh and Devin. He always had some project going on with his motorcycles, the tractor, or whatever. We were like DIY folks back when they just called it poor. We had plenty of tools around the house, and one of them was going to come in real handy with this Rubik’s Cube: the sledgehammer. I can still see it. There was me, my stepmom, Josh, the dog Boomer, and my father--all standing in our gravel driveway with the Rubik’s Cube and a sledgehammer. When my Dad brought the hammer down we all cheered. It felt good to see bits of color flying around, a yellow landing in the yard, a red lost in the bushes. The Rubik’s Cube could taunt us no more. Later, I stood by and watched as the pieces melted in the burning barrel out back with the garbage. We burned all of our garbage back then--I know, I know. It took a while for me to understand what really happened in the driveway. It sank in slowly, but once it settled, I couldn't shake it. We didn’t defeat the Rubik’s Cube. The Rubik’s Cube defeated us. We were Darth Vader and it was Obi Wan Kenobi. By smashing the cube we only made it stronger. After we burned the pieces, there was no chance of getting back to solid squares. 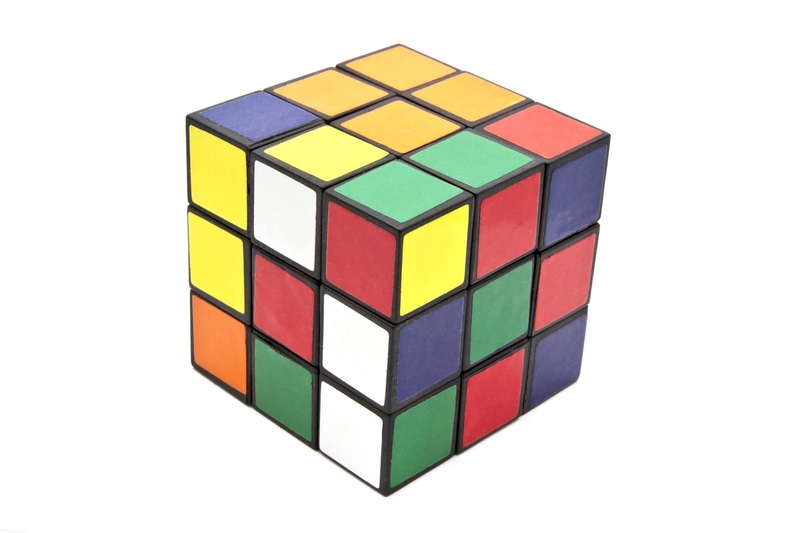 The Rubik’s Cube could tease us from the grave more effectively than the table. So what’s the point? My need to solve or smash the Rubik’s Cube foreshadowed much of my adult life. My obsession with progress in juggling and manipulation arts, my determination to be good at dance styles I have no natural talent for, my tendency to be all in or all out--it comes from the same place. I call it chasing the Rubik’s Cube. So this year, for my New Year’s Resolution (hey, better late than never) I’ve decided to stop chasing that Rubik’s Cube. This blog is part of that. Something I’ve wanted to do, but never did, because I was too busy obsessing over some trick. Or beating myself up about a move I didn’t get right. The plan is to talk about art, life, politics, and whatever I feel like. We could go everywhere, anywhere, or nowhere--but I hope a few people will join me along the way. Do you have a story like this? Something that seemed small, but turned out to be important? Tell me about it.